The best process yields the best results. 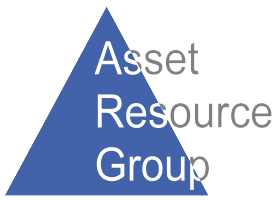 Asset Resource Group structures flexible terms to meet each client ’s needs by working either on an engaged or contingent basis depending on priority and urgency of the situation. The 10 steps below describe the engaged search process. For contingency service, many of the same steps are utilized but with less depth and research. Gather information about the position and challenge the market validity. Assess position responsibilities, technical and professional skills required, competitiveness of the compensation, hiring process and company/group dynamics. Acknowledge fee agreement and terms. Conduct thorough interviews with hiring authorities. Finalize and get Client approval of the position description and terms. Upon receiving approval of position description and authorized terms, the search is launched. Pull from existing Candidate database and narrow potential matches through a process based on work history and contributions, criteria for career movement, cultural and chemistry match, and technical compatibility. The semi-finalists will be re-evaluated and approved for submission to Client. Exploratory contacts are made to determine technical and professional proficiency and viability for career movement. Candidates are not “baited” with Client’s requirements. They are asked to describe their true career motivation and desire for progression. Uninfluenced Candidates that match Client’s assignment have an improved chance for retention and predictability. Top Candidates are given Client exposure. An assessment of selected finalists will be presented to Client. The finalists are presented to the Client to begin interview and selection process. Timing, sense of urgency and competition will vary among each candidate, so projected shelf life will be communicated to client. Interviews are scheduled and held either on or off Client site. Selected Candidates are thoroughly prepped before interviews. Recommendations may be provided to Client to facilitate “no surprise” hiring. After each interview both Candidate(s) and Client will describe in detail and be fully debriefed on technical/professional compatibility, chemistry and culture fit, position challenge and retention. Information and findings are presented to both sides. Concerns, if any from either party, are carefully discussed and resolved. Once a Candidate is in final consideration, ARG participates in negotiating and structuring an acceptable offer. ARG will test an offer hypothetically prior to any formal extension. Any incongruities will be resolved or dissolved. ARG will verbally extend and convey Candidate’s offer and acceptance to better insure success, unless otherwise strategically necessary for the Client to do it directly. Arrange agreed upon start date. When all parties are in agreement, the Client will prepare and extend a written offer to the Candidate. Follow through with all parties for smooth transition into new position.